Proximity, price, and franchise are the three factors which, combined, are at the core of the DIA Group’s success model. 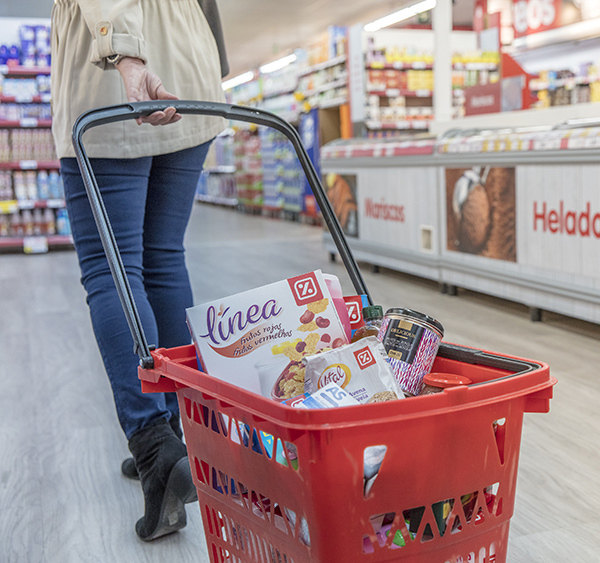 The DIA Group is a leader in proximity, as it gives customers access to daily consumer goods near their homes, offering speed, convenience, and savings when it comes to travelling to stores. In order to achieve this, the company has widened its store network and now has more than 7,300 stores worldwide. One of the DIA Group’s differentiating factors is price. The company has an unbeatable price image thanks to a strong culture of costs and two key pillars: own-label and the Club DIA loyalty programme. The company was the first Spanish general retail distributor to launch its own label in 1984, and this model was strengthened from 2013 when the company began to develop new brands to meet customers’ changing needs. It created brands such as Bonté, Baby Smile, and Junior, Basic Cosmetics, As, and Delicious. Currently, the company has more than 7,500 own-label SKUs. Moreover, through the Club DIA loyalty programme, partners have access to more than 250 products at exclusive prices, discount coupons, and even the option of paying for their purchases in instalments. This successful loyalty programme already has 32 million members (2 million new customers join the programme each year), giving the DIA Group a unique insight into customer behaviour, promoting and working on its price image through specific promotions and close cooperation with suppliers. The franchise is an essential part of DIA’s business model and a key tool for its profitable growth. The company has promoted the franchise concept for decades, considering it to be an unbeatable model to efficiently manage the proximity business. Thanks to this focus, the company is now the leading franchiser in Spain and Argentina, number three in Europe in the retail distribution sector, and number three in Brazil in terms of turnover. 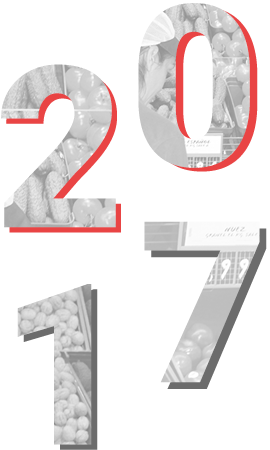 At the end of 2017, franchises represented 47.9% of the company’s total store network, and 61.1% of the DIA banner. In addition to the franchise, the DIA Group operates the master franchise masterfranquicia model in countries such as Paraguay and has trademark assignment agreements with local partners in Africa and the Middle East, which have led to the setting up of 97 stores under the City DIA format in Senegal (75), Nigeria (6), Ivory Coast (9), Guinea-Conakry (3), and Ghana (4). Keep the customer at the heart of the business: This is a key priority for the company, and its projects and courses of action are always clearly focused on meeting the changing needs and habits of its increasingly demanding and specialised customers. Focus on the multi-banner and multi-country model: The company is opening several types of stores both in urban areas (DIA Market, La Plaza de DIA, Él Arbol, and Minipreçó Market) and in rural areas (Cada DIA and Mais Perto), attraction supermarkets such as DIA Maxi (Minipreço Family), stores with new ranges of personal care, health, and beauty products (Clarel), and new sales channels such as cash&carry (Max Descuento). This model allows the company to gain access to a wide range of consumers, adapting its offer to local or regional tastes with one single premise that remains constant: quality at the best price in the market. Maximising shareholder value with management that prioritises efficiency and responsible resource management has led the company to distribute, since its stockmarket listing, EUR1bn in dividends. With more than EUR300m invested in store openings and innovation and a debt level of EUR891.3m at the end of the year, DIA is an attractive company for investors. Focus on digital transformation: The development of e-commerce, the signing of agreements with third-party specialists in the online sales segment, the rollout of technological applications developed in-house to streamline processes, the creation of a digital platform to search for talent in-house, and the digitalisation of commercial services imply a real change in corporate management, allowing the company to forge ahead with its profitability and efficiency targets. Develop the best professional talent: Another of the company’s priorities in order to grow its business has been to ensure it develops the best professional talent, with several training and talent search programmes ongoing in the various countries in which the company operates. This allows it to adapt the professional profiles of its employees to new requirements and customer needs.